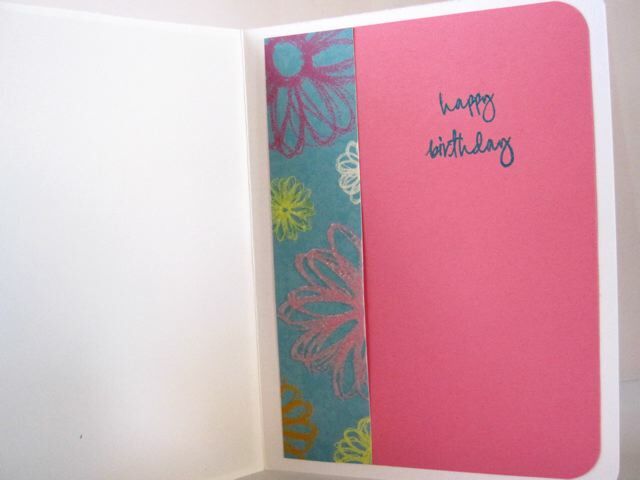 Here is a card I made because I needed a birthday card and because Mary at Cricut Cardz Challenge was having a cake/cupcake challenge. This is my first entry to a challenge (I'm a little nervous). I made the card using the Doodle Charms cart and my recently purchased Gypsy. I made the cupcake a little small because I wanted the Cuttlebug birthday embossing to show. If I make this card again, I may make the cupcake bigger! I'm trying to dress up the inside of my cards more. Sending this to my Mom for her birthday. 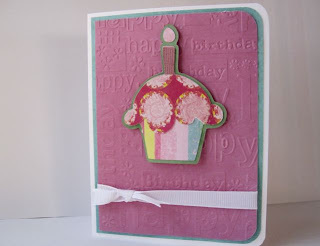 I love that embossing folder and the size of your cupcake really lets it show. Very cute. Thanks for playing along with us at CCC. The colors are great! And I really like the embossing...definitely gives good definition to the front of the card.